2010-2012 doing long-term sub jobs out in East LA, South Central, and Boyle Heights I worked doing 3 months in a 6th grade class, 3 months in a 2nd grade class, a month doing 8th grade science, and 2 months teaching Spanish at a high school. Most of my other assignments were short term. During this time I crashed courses in IOS programming at UCLA’s extension campus and Gnomon in Hollywood. I also got to be a part of filming at a benefit concert on Skid Row. Below is the initial is a clip of the raw footage after I scaled a building with my iPad. 2010-2012 During this time I developed a lowrider application (not in the Apple Store anymore) while I was learning how to develop apps. I connected with a professor at Gnomon and we made an application for the T.V. show he worked on, but it ended up not going through. This was my first educational technology project and I was hooked (the demo video is below with a screen shot of the splash page in the images). At that point in my life I knew that I would keep working with kids but that I also wanted to get into educational technology. To this day people don’t really understand me and how I am trying to put technology and education together. I feel like I know what I am up to and kids seem to understand me well. 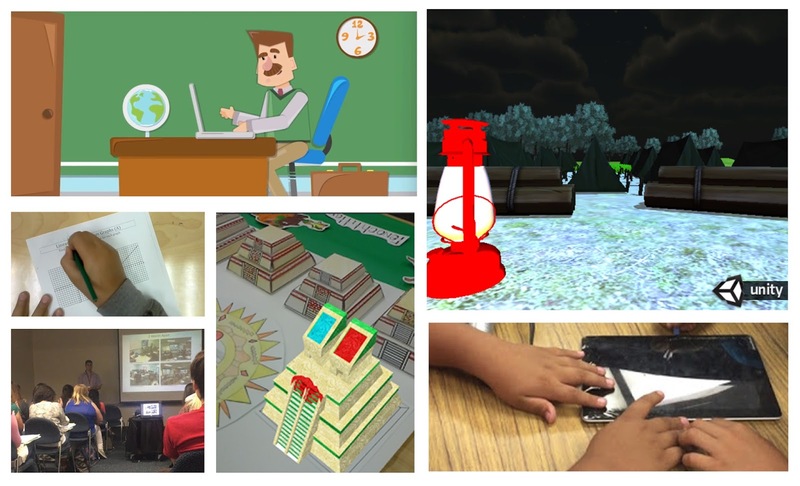 Soon after those projects I got into augmented reality and that little devil running across the kids desk was one of our projects. 2012-2013 During this school year I went back to school for my Multiple Subject credential and made 3 new applications. The two main applications “Life of a Monarch Butterfly” and “Lifecycle of a Frog” are still in the Apple Store and I later created entire units around them for teaching writing. The main application there is “Life of a Monarch Butterfly” which was my attempt to put what I learned in my credential into one lesson. 2013-Present This has been a truly blessed time for me that has seen me facilitate standards-based film festivals in science and history, distance education presenters from South Carolina and Los Angeles, student peer-tutoring via FaceTime, technology rollouts, students developing apps, 3D modeling, virtual worlds, kids fixing iPads, presenting at conferences, and still having time to play soccer at recess. 2014-December of 2015 During this time I was in the Masters of Educational Technology program at CSU Fullerton. In this program I was introduced to fellow teachers that would help me grow as a professional. Under the instruction of great professors I facilitated projects that would further enrich my teaching and by extension the lives of my students. More than anything this program helped push me into learning more software for myself and research ways to accelerate the gains I made in my class with technology.